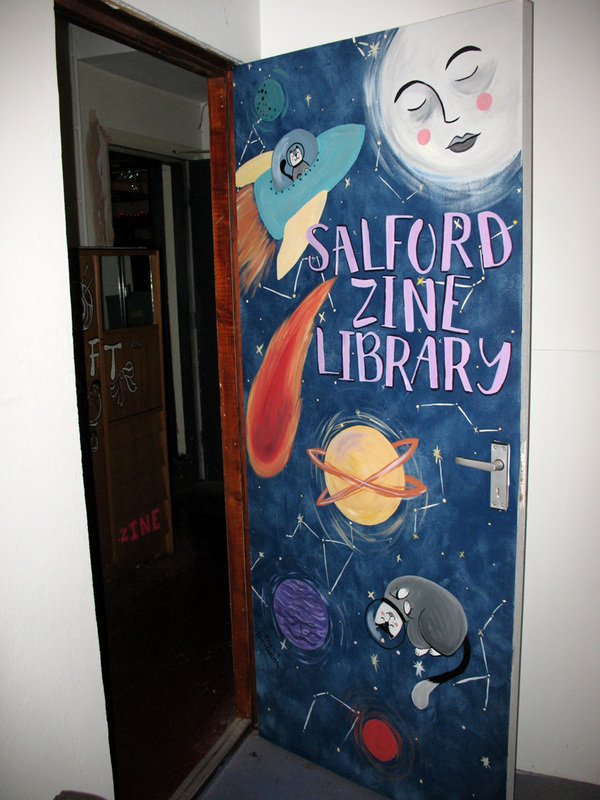 While travelling through the UK in the last two months, I visited two zine libraries in Manchester: the Salford Zine Library and the Manchester LGBT Zine Library. I highly recommend any zine lovers to explore both of them! 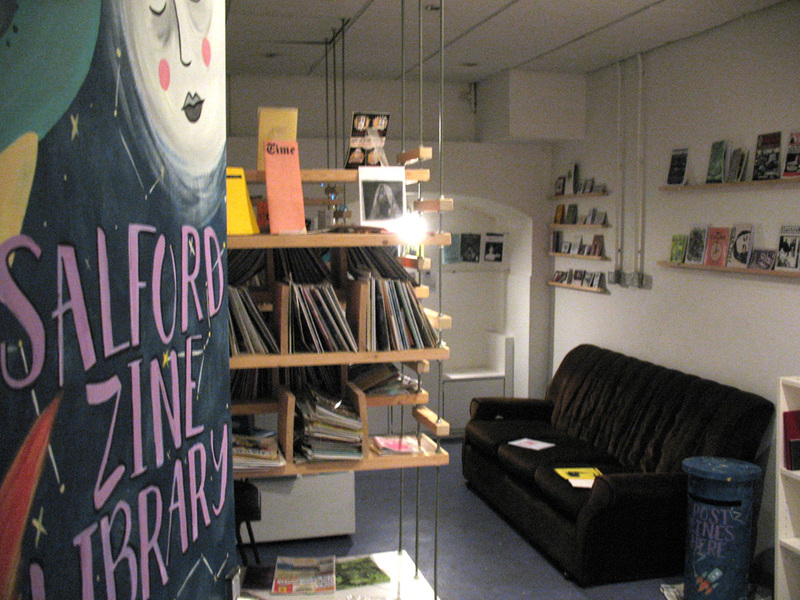 The Salford Zine Library is located in the Nexus Art café in the north of Manchester. It’s a lovely place, with creative decorations, and crafts, smoothies and food for sale. 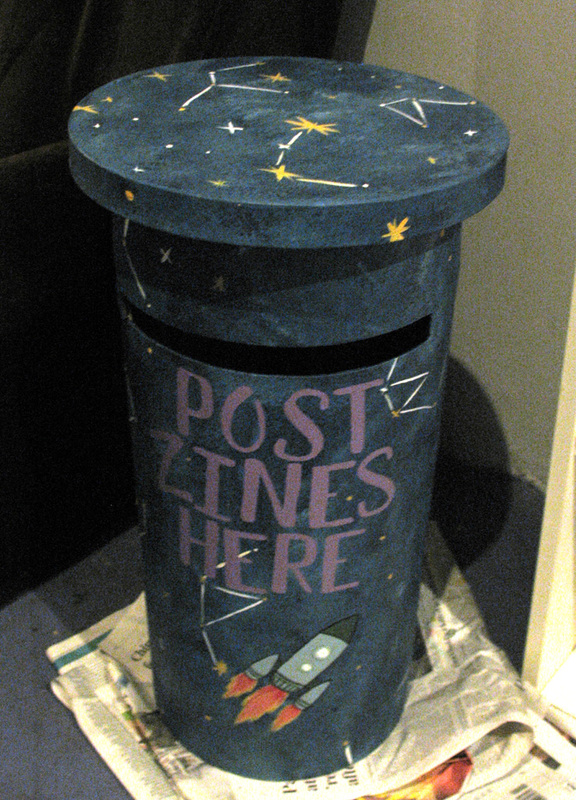 Perfect place for a zine library! Inside the library you can also find a copy machine (used for zine workshops I think) and an exhibition of cross-stitched portraits. 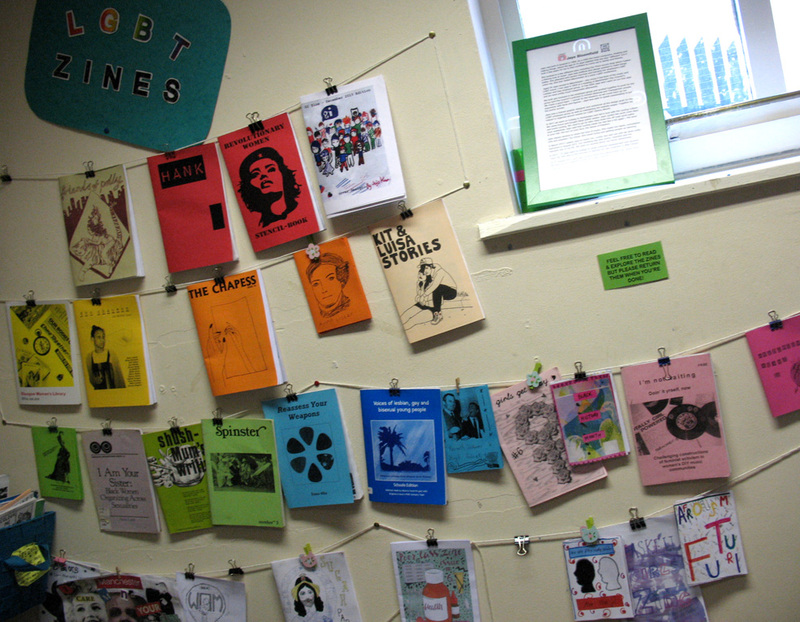 The Manchester LGBT Zine Library also accept zine donations. 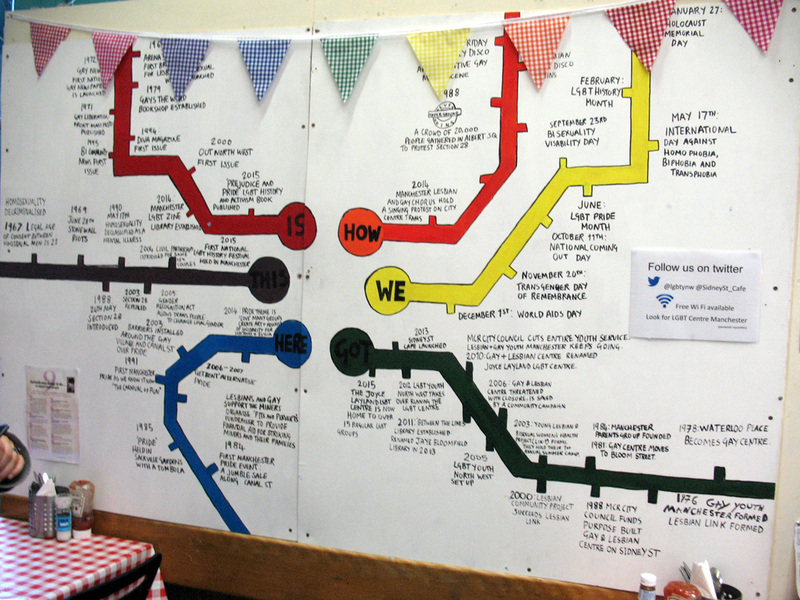 Other zine libraries (= libraries with zine collections or libraries focussing specifically on zines) I visited so far are the Feminist Zine Library in London, the Archiv der Jugendkulturen in Berlin, and the Shelf Zine Library and the Infotheek in Ghent. Maybe I forgot one… Urgently need to go to La Petite Fanzineothèque in Brussels too. 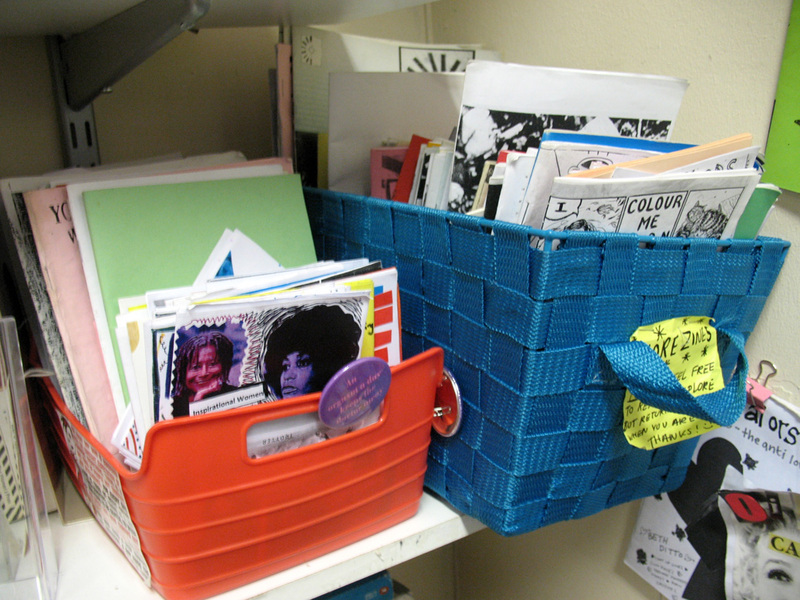 If you know of any zine libraries you’d like to recommend, let me know! 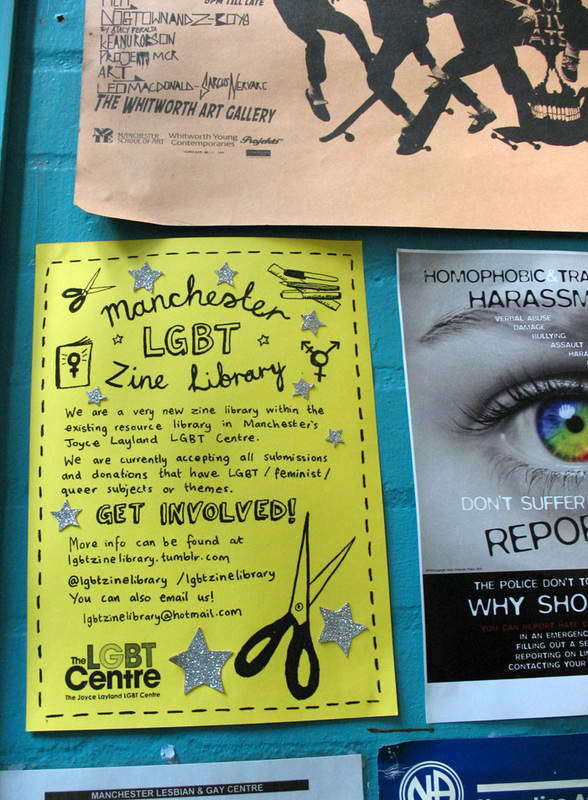 This entry was posted in Library, Report, Zine scene and tagged library, manchester, manchester lgbt zine library, salford zine library, zine bib, zine library. Bookmark the permalink.